First, there was the Blue Whale Challenge, the sick ‘game’ that urged children perform dangerous dares, failing which, they were prodded to take their own lives. This grim suicide challenge caused a wave of moral panic in 2016 across several countries, including Russia, Brazil, India and the United States. This year, a similar challenge broke out on the internet, reaching our shores. 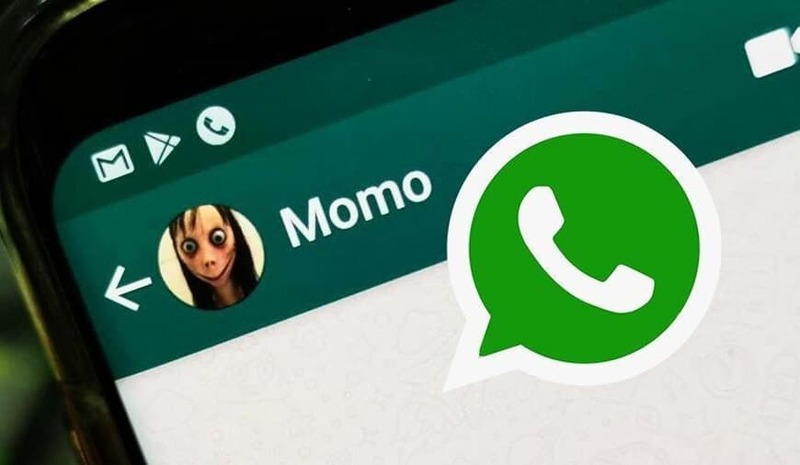 The Momo Challenge uses the WhatsApp messaging app to target children. Here’s everything you need to know about the cruel suicide challenge and how to protect your children. Rooted in Japan, the game which started on Facebook and moved on to WhatsApp involved members daring each other to contact an unknown member — an anonymous person known as Momo. Momo would then challenge participants to engage in odd activities such as overcoming fears or waking up in the middle of the night. Children were asked to film themselves completing these activities and send it to Momo. After completing each challenge successfully, Momo would then challenge these children with even more dangerous activities, some of which involve self-harm, and ultimately leading to a suicide challenge. Momo used scary or violent content and intimidating calls to goad children into completing challenges, threatening to visit and curse those who did not obey. Momo’s scary image, dubbed from a sculpture by Midori Hayashi called “Mother Bird” and showcased in a horror art gallery in Tokyo, features bulging eyes and a sinister, wide grin. A 12-year-old girl in Buenos Aires reportedly took her life, recording her last moments before completing the suicide challenge. Cyber-threat consequences are real and we urge parents to be vigilant. Social Media apps are easily accessible to any unsuspecting child. As children’s brains are still developing, their vivid imagination coupled with peer pressure is enough for them to confuse fantasy with reality, making them susceptible to an intimidating suicide challenge. Scary things that may seem like rubbish to adults can be real to children. Moreover, WhatsApp’s encryption technology allows anyone with a phone number to use it, making it difficult for parents or the police to trace messages coming from an unidentified account. Taking your children’s smartphones away may not be as straightforward as it sounds, but there are other steps to take to safeguard your children from cyberbullying and a suicide challenge like this. My child has already begun Momo’s challenges. What should I do?